In 2017/18, 7,318 individuals were referred to the Prevent Programme due to concerns that they were vulnerable to being drawn into terrorism. The Education sector accounted for 2,462 (33%) of the referrals and the police accounted for 2,364 (32%) of the referrals. Prevent is a safeguarding duty. It’s part of the Counter-Terrorism and Security Act. It means that schools and childcare providers have a part to play in helping to prevent children and young people from being drawn into extremism and terrorism. There is not a one size fits all approach to dealing with Prevent Duty. Therefore, head teachers and Educational leaders have a responsibility to put in place robust procedures to protect students/children. These procedures should regularly be reviewed and evaluated to make sure that they are still effective. The protection against radicalisation and extremism should be viewed the same as protecting children from drugs, neglect or exploitation. What is 'radicalisation', 'extremism' and 'radicalisation'? extremism calls for the death of members of our armed forces, whether in this country or overseas. purpose of advancing a political, religious or ideological cause. Below we have a snippet from our course detailing what extremism and terrorism are so that Educational Professionals are able to recognise them in children. Between April 2017 to March 2018, 7,318 individuals were referred to the government’s Prevent programme. 1,314 individuals discussed at a Channel panel, 920 (70%) did not receive Channel support, and 564 (61%). 394 individuals received Channel support following a Channel panel. 57% of the 7,318 individuals were aged 20 years or under. 18% of those referred were referred for concerns related to right-wing extremism. The below image is sourced from The Home Offices 'Individuals referred to and supported through the Prevent Programme'. Social media and online platforms are becoming increasingly popular in the role of radicalisation. And with the increased about of young people on social media, more young people are exposed. There are millions of young people online every day and unfortunately, there is a small percentage of the population who use social media to radicalise and recruit vulnerable people. It is easy for anyone to open an account under a fake, age, name or gender and therefore effectively remain anonymous. Recruiters can share content that promotes their views like news articles and videos. Various social media platforms can be used to promote, share and influence people. There are nearly 50,000 pro-ISIS accounts that have been identified on Twitter. On YouTube people set up dummy accounts to repost videos that get taken down almost immediately. Instagram (being solely used for sharing photos) can be used to share photos of recruiters lives, where they live and promote a happy and full life in what they do that may not be accurate. Tumblr can be used for longer arguments and provoke conversation. Until recently, Tumblr was allowed to contain adult content. Other sites like Snapchat, Facebook, Pinterest and hundreds more also allow people to sign up under false identities, allowing for children under the appropriate age to sign up as well as radicalisation recruiters to also mask their identity. Some terrorist groups seek specific individuals, some seek mass recruitment for a larger movement. Group bonding and peer pressure are necessary for children to think that violence is a reasonable response to injustice. There is not a particular way to preempt someone adopting a terrorist ideology. If this ideology is part of a family belief then it is possible for young children to be vulnerable to radicalisation. This being said, it has been found that when children search for an identity or community then they are particularly vulnerable. This programme is a referral scheme for childcare providers if they are concerned about a child. However, at this stage, an individual's involvement with the programme is voluntary. Any safeguarding policies should have systems in place to protect children against extremism. If you or an employee has any concerns then you should follow normal safeguarding procedures as dictated in your safeguarding policies and speak to the safeguarding leader within your workplace. In Prevent priority areas, there will be a Prevent lead who is able to provide support. 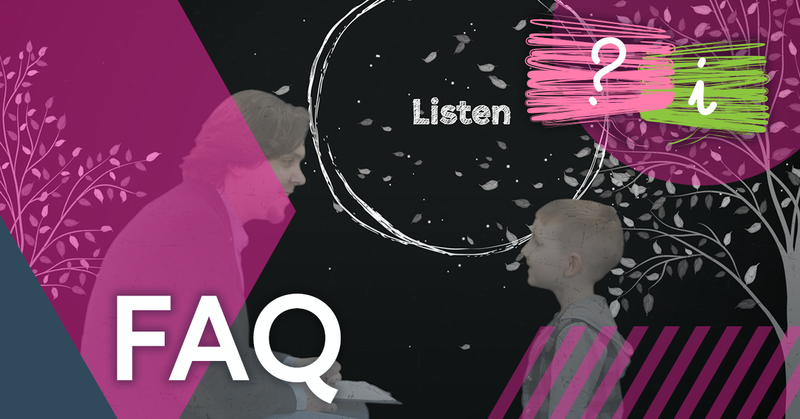 If it is deemed necessary, the safeguarding lead within your workplace will first discuss the matter with a child's social care. The safeguarding lead may also contact the local police or the 101 non-emergency number to get support and advice. What is Prevent Duty Training? 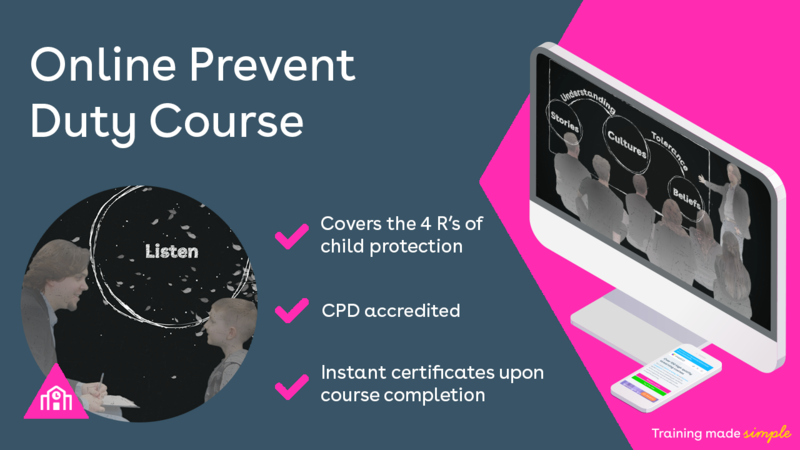 Our Prevent Duty Training is designed for those working in Education and childcare and educates them on their duty to prevent children from being drawn into terrorism and extremism. Our training teaches employees that Prevent Duty should not stop children from debating extremist views, but it the wider act of safeguarding to stop them from getting drawn into acts of extremism or radicalisation. Section 1: Recognise - how to recognise warning signs that suggest radicalisation is taking place. Our CPD Accredited Training is now available for you and your employees to purchase? Or you can get started with your free no-obligation trial today!